This incredible medical practice where patients from all over Will County, DuPage County, and surrounding communities depends on individualized care for a variety of internal medicine needs. With offices in Downers Grove and Crest Hill, Illinois, a skilled team of medical professionals and a warm staff work in step to create a warm, welcoming healthcare space. Dr. Jose Rivera Guerrero and Dr. Cristina Perez offer patients professional services to diagnose, treat, and help prevent a multitude of conditions, including joint pain, lung and liver disease, migraines, and mental health issues. They also provide routine annual physical examinations to monitor the overall health and wellness of regular patients. Building a friendly rapport with clientele is a point of emphasis for Premium Healthcare’s providers and staff. Everyone who visits the practice for medical attention is treated like family, consistently receiving personalized care. The team at Premium Healthcare also offers bilingual services, as the providers speak fluent English and Spanish. If you need to seek professional medical intervention, or it’s just time for a routine checkup, call or use the online booking tool today and schedule an appointment at Premium Healthcare. 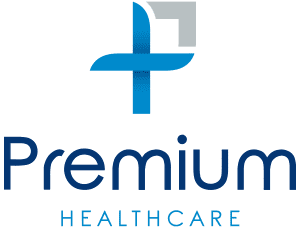 At Premium Healthcare P.C., we accept most major insurance plans. Here is a short-list of just some of the most popular plans we accept. Please contact our office if you do not see your insurance provider listed.